Green Cross Marijuana Collective Celebrates 7 Years In S.F. From the menu at The Green Cross: SF Ice, an indica cross of Afghan, Northern Lights, Skunk and Shiva. Tested at 18.4 percent THC. 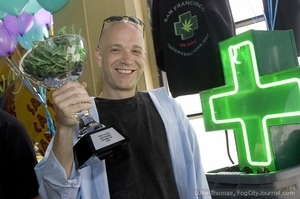 ​The Green Cross, first incorporated as a California public benefit nonprofit medical marijuana patient collective in July 2004, is celebrating seven years in San Francisco. “Since then, The Green Cross has become well known for our safe and discreet delivery service, commitment to social and environmental responsibility, absolute compliance with state and local laws, and generosity to local and national charitable organizations,” said founder and president Kevin Reed. ​The Green Cross was awarded San Francisco’s first medical cannabis dispensary (MCD) permit to operate exclusively as a delivery service in 2007. 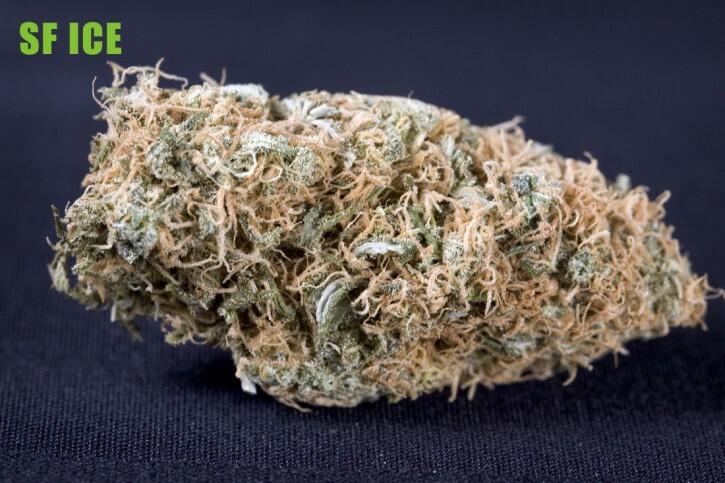 Today, the collective remains S.F.’s only licensed, delivery-only medical cannabis club. “Our professional drivers deliver quality medical cannabis products directly, safely, and discreetly to patients anywhere in the city free of charge,” Reed said. “The Green Cross’s commitment to incorporate operational standards that demonstrate integrity and accountability is underscored by our A+ rating and full accreditation by the Golden Gate Better Business Bureau (BBB) and the Green America Seal of Approval, which helps socially and environmentally responsible consumers locate businesses that operate under the same ethics,” Reed said. Moreover, Reed was appointed by the S.F. Board of Supervisors to a two-year seat on the Medical Cannabis Task Force, where he fights for the rights of patients and smart regulations for safe and legal access. This year, The Green Cross unveiled a new laboratory testing program for its entire line of medical cannabis. The program is intended to help patients make educated decisions before they purchase their medication. “We’ve made it through seven years together, and with your continued support we can make the next seven better than ever!” Reed said.